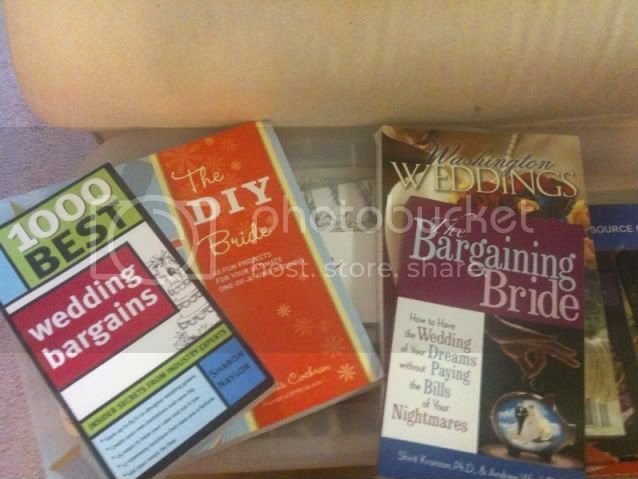 Shortly after Hubs and I got engaged, the daughter of a family friend - Hubs' former baby sitter to be exact - gave me a bunch of bridal books. I've since passed a few of them on, but I have a few more that I'm looking to pass on. You see, to give a little background, Hubs and I are moving. Finally! I thought when he accepted the job last week, except he's already working up in Connecticut, and I'm down here sorting through everything and trying to get everything packed, sorted, given away in two weeks. The books are all in great condition, and since they were given to me, I'm going to pass them down to the first commenter. I would love these books. Got engaged in December and graduated from college in May and I'm just beginning to plan the wedding!